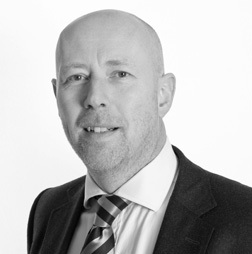 Andrew joined us having over 20 years experience within the financial sector with a major UK bank. He has considerable expertise in business strategy and is a leading authority on how organisations can become more responsive, guest-lecturing at a number of UK Universities. He has also used this specialism as a management consultant where he has worked with sectors as diverse as healthcare, housebuilding, retail and fashion. Andrew has a PhD and an MBA from Birmingham City University as well as postgraduate qualifications in management and research. His philosophy is ‘the most successful organisations share a number of key characteristics – they put customers first, they are adept at change and their people continually renew their skills and capabilities. This epitomises CDC’s philosophy so I had no hesitation in wanting to be part of that. It’s also fair to say that the business landscape now changes much more rapidly so my aim is to make sure CDC’s sensing capabilities are sufficiently refined to enable us to identify and exploit opportunities for our customers’. Andrew’s hobbies are the highs and lows (mainly lows) of supporting Luton Town football club and generally trying to keep fit. He is also a book worm and now he is liberated from his studies, he reads mostly for leisure.